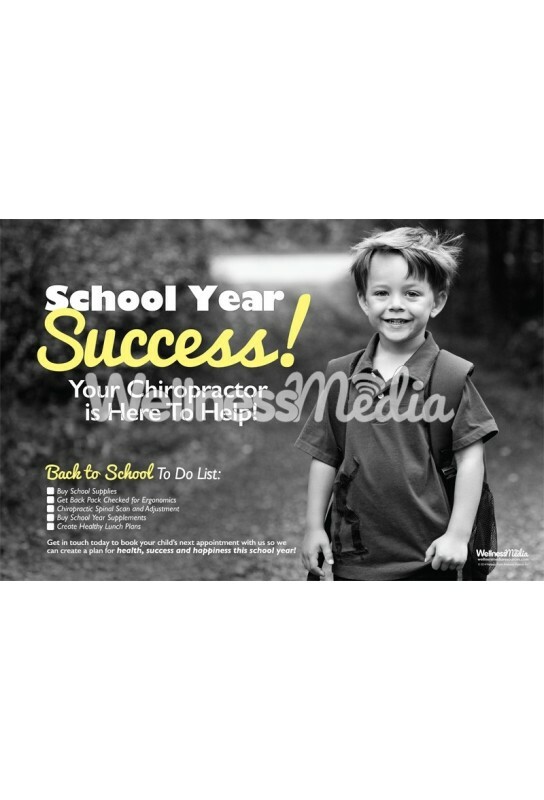 This back to school kids chiropractic poster displays a healthy young boy ready for school, along with a wellness checklist for parents to follow. This product is also included in our back to school starter package and back to school premium package. 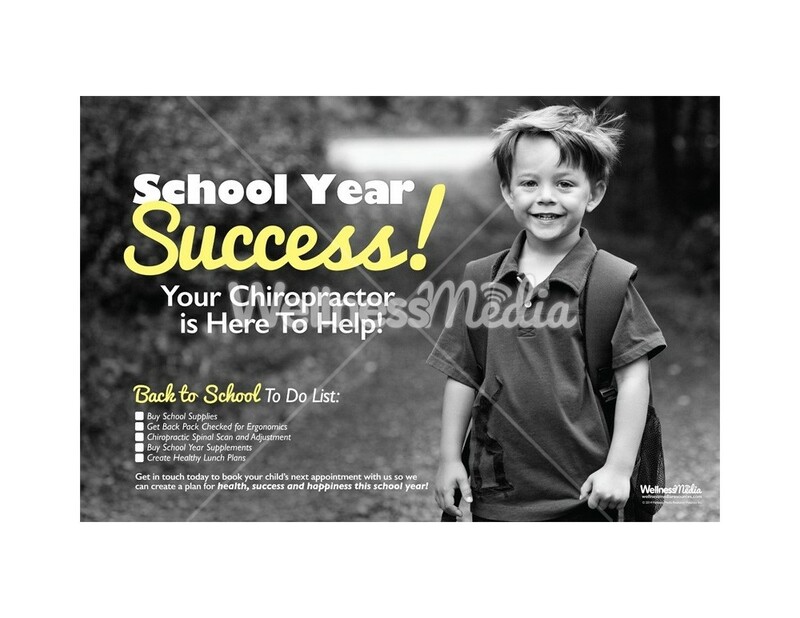 Back to school to do list: buy school supplies, get back pack checked for ergonomics, chiropractic spinal scan and adjustment, buy school year supplements, create healthy lunch plans. 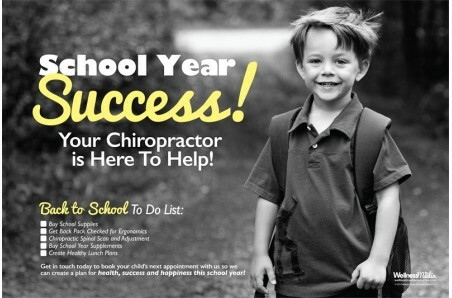 Get in touch today to book your child\\\'s next appointment with us so we can create a plan for health, success and happiness this school year!